Even though Volkswagen has a 32-year history of diesels in the U.S., the recent establishment of strict Tier II Bin 5 emissions control standards has found automakers struggling to bring a clean diesel to the US market. Using diesel technology developed in conjunction with Audi and Mercedes-Benz, the 2009 Volkswagen Jetta TDI is the first vehicle to fully meet those tough specifications. The result is a Clark Kent/Superman situation: a normal looking Jetta with incredible fuel-economy, up to 41 mpg on the highway, according to the EPA. VW not so subtly hints that the sedan can push way past those numbers in everyday driving. Their third party tester, AMCI, found real world conditions to return 44 mpg highway. You’ll have to find out for yourself if this is a more accurate result. Meanwhile, VW has loaded their newly efficient car with a large number of luxury features like heated leather seats and cruise control. Standard safety systems are plentiful as well. Put it all together and you’ve got a vehicle on the opposite spectrum from the noisy, smelly 70s-era diesels. Here’s to new (and clean) beginnings! The number one reason why you should buy this car is its fuel-efficiency, but a $1,300 tax credit might please buyers as well. The diesel engine returns plenty of on demand torque to spirit the Jetta along. All 2009 VWs come with free scheduled maintenance for three years or 36,000 miles and roadside assistance for four years or 50,000 miles. The base Jetta starts at $16,990 – five grand less than the diesel. With all the technology VW has on offer, we were disappointed by the overly basic standard audio display. The brakes don't quite support the full weight of the car during spirited driving either. Gas-powered Jettas have always had plenty of zip to them, so we weren’t surprised to find the Jetta TDI an even more enthusiastic partner on the road. Acceleration, while best over 1,800 rpm, pulls you through the gears with considerable ease. As does the DSG transmission, whose quick gear changes never found us wanting for more responsiveness. During the drive, you’ll struggle to hear the diesel engine knocking; it has been quieted to a mere whisper. If a whisper isn’t your style, slip the shifter down to the rev-happy Sport mode. This will put the Jet in Jetta, boosting the rpms for more immediate power. During all of this excitement, the Jetta’s steering remains heavy and direct. Brakes are a bit too squidgy to engage excessively solid stopping power, though emergency braking is sufficiently quick. A soft ride might produce a bit of body roll as well, but nothing worth fussing over. The front-wheel drive Jetta TDI houses a 2.0-liter inline four-cylinder turbocharged direct injection common rail engine. The diesel, as it is wont to do, limits the horsepower out, 140 with this set-up, but the TDI puts out a muscular 236 lb-ft of torque. 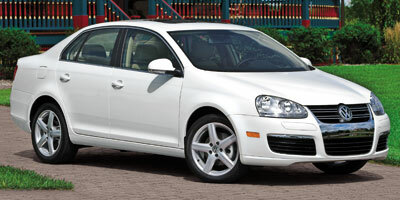 The engine is mated to either a six-speed manual or six-speed DSG automatic transmission. Features focused on comfort are abound in this compact car. Standard are heated, eight-way adjustable seats (hello, lumbar support), leather-wrapped steering wheel, shift knob and brake handle, auxiliary input jack and power windows and locks. A trip computer returns stats like average mpg – there’s no easier segue to blatant gloating to your hybrid driving friends. VW’s premium audio system kept us grooving with its MP3 readable six-disc changer, 10 speakers and satellite radio. It can be controlled via the navigation system’s touch screen display. The iPod interface can’t be used via the touch screen like all other audio functions though. Navigation menus are easy to maneuver and never seem too fussy. Other tech involves more under-the-radar systems like standard Electronic Stability Control (ESP), Anti-Slip Regulation (ASR), Anti-Lock Braking System (ABS) and Electronic Differential Lock (EDL). All help to keep the Jetta between the painted lines – where a trustworthy car should be. The Jetta TDI still relies on oil, but you’ll be using a lot less of it with this car. The manual returns 30-mpg city and 41-mpg highway, while the DSG gearbox gets a healthy 29-mpg city and 40-mpg highway. VW believes those are conservative numbers. Our trip computer showed an average of 40.2 mpg at the end of our mountain road test course, leaving us in agreement with the German automaker. VW also says it is safe to add up to five percent biodiesel to your regular tank of diesel. The TDI sports a modern and comfortable interior space. Room is tight in the back for heads hovering over the six-foot mark, but all five ‘leatherette’ seats have enough breathing room and bolstering for long trips. The large trunk can be extended with the ski pass-through or by folding down the rear seats. Shockingly (!) the Jetta TDI looks just like a normal Jetta once you close the hood. It does sport some nice TDI badges, but that’s as far as the differences reach. The sedan features rounded lines and a signature VW grille to lead things off. In the options department, the only upgrades are found on the four legs: you can bump the wheel size from the standard 16-inch alloys to 17s. The Jetta sans TDI badge has a number of competitors: the Volvo S40, Toyota Corolla, Mazda 3 and Honda Civic to name a few. In the diesel trim, the Jetta stands alone. It starts at $21,990 for the manual and tops out at $23,090 to include the DSG gearbox. If fuel saving is your game no matter what the rules, the $22,000 Toyota Prius, $23,550 Hybrid Honda Civic and $25,090 Honda Civic GX (powered by compressed natural gas) will be your best cross-shops. While we haven’t tested it yet, the Jetta TDI also comes in a SportWagen form starting at $23,590. If you are like so many economy-conscious drivers who actually enjoy driving, this Jetta TDI will be a breath of fresh air in a hybrid-inundated market. You’ll rarely see your mpgs drop below 27 or 26, even with aggressive driving. The Jetta’s price lets everyone in on the fun too. Clean diesel technology has now made looking after the earth an exciting and easy prospect.